- Selay has installed and commissioned a concrete plant to Kosovo. - Selay built and commissioned a concrete plant to Azerbaijan. - Selay has been installed and commissioned a concrete plant to Kazakhstan-Çimkent . - Selay moved to a larger factory at Saraykoy-Kazan and increased its production capacity. - Selay built and commissioned a concrete plant to Angola. - Selay set up and commissioning a concrete plant to Belarus. - Selay has installed and commissioned a Mobil60 concrete plant to Turkmenistan. - Selay has installed and commissioned a concrete plant to Durmazlar-Aksaray. - Selay has installed and commissioned a concrete plant to RG Izmir Ready Concrete. 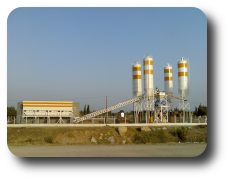 - Selay has installed and commissioned a concrete plant to Batıçim. - Selay has installed and commissioned a Mobil90 concrete plant to Akyazı Ready Concrete. All the spare parts for our plants are always available in our stock. Equipments for cement silos, belt conveyors, and mixers spare parts and wearing groups and other spare parts are manufactured, exported and marketed and delivered in abroad as well as Turkey. Upon the request of customers, we are giving the maintenance services with our well qualified technicians. Almost the most common cements pumps are sold, and their spare parts manufactured by us, thus the necessary spare parts are always available in our stock. Cement pipes, rings, seal and gaskets, cleaning ball, s-valve and its bearings, wearing plates, transferring cylinders, and other hydraulic parts are marketed and delivered in abroad as well as Turkey. Upon the request of customers, we are giving the maintenance services with our well qualified technicians. 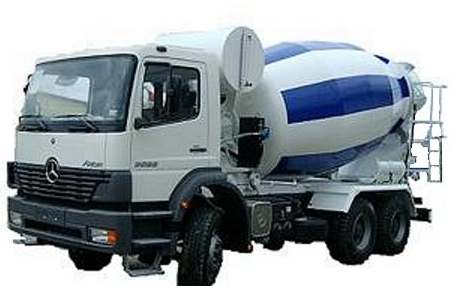 The spare parts belong to truck mixers are manufactured and sold by us, thus the necessary spare parts are always available in our stock. From reducer to mixer pulley, gutter jacks, water pumps and their spare parts are marketed and delivered in abroad as well as Turkey. Upon the request of customers, we are giving the maintenance services with our well qualified technicians.